Bold. Innovative. Advanced. Modular. LS2's Metro reimagines the possibilities of a modern, full-face modular motor- cycle helmet. It starts with the aerodynamic shell built from our exclusive Kinetic Polymer Alloy (KPA). This super strong alloy offers exceptionally lightweight and flexibile properties for energy absorption with penetration resistance that rivals that of high-end composites. To ensure good protection the helmet must fit your head to perfection, special attention should be paid to the shell shape design and materials to minimise the effects of a possible impact. It is key to obtain a perfect fit to your head from outside to inside, as well as the shell, the configuration of the EPS liner, which should match closely the human head shape. 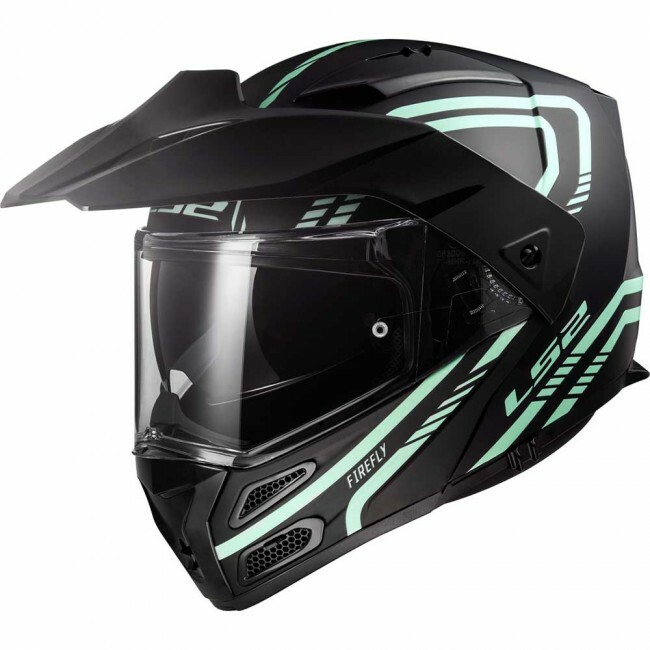 LS2 helmets feature a Dynamic Flow-through Ventilation. Fully adjustable intake ports and vented EPS work with the rear spoiler and exhaust ports to create a constant, light flow of air helping to keep the rider cool and comfortable. With LS2, we are making a super special effort to get these items out there to customers as fast as humanly possible. We will endeavour to ship out the item the very same day as purchase so long as the purchase is made by 2:30pm Mon-Fri and everything goes on a next day delivery (weekends are not part of this). The only exception is highlands and islands whereby the delivery is pushed back to a 2 day delivery time but if you live up there youre probably already used to that. The courier will only make 2 attempts at delivery, leave a calling card and then keep the item with them for 3 days where you will have the chance to collect from the depot before returning it to us. They are very strict on this so please be aware.